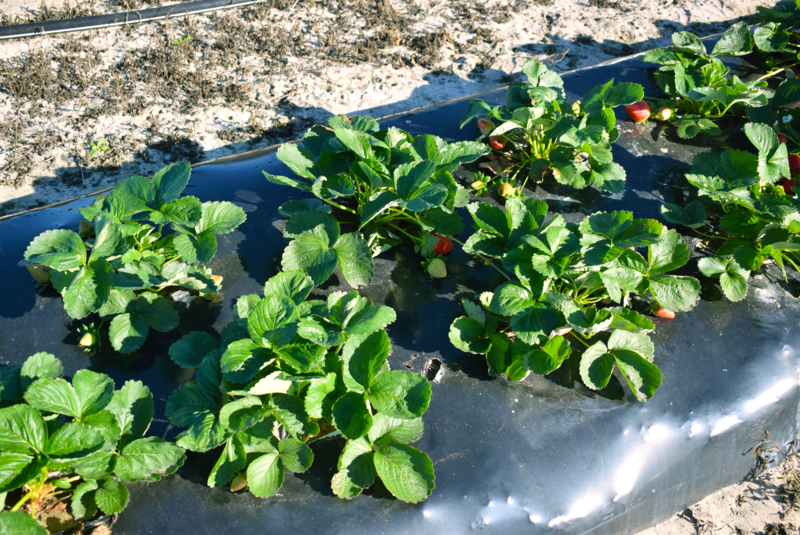 Research and extension activities will address the unsustainable practice of using an extended period of overhead irrigation to limit heat stress during the establishment of bare-root strawberry transplants on black plastic mulch. During strawberry establishment, irrigation infiltration and runoff will be assessed. Data will be collected on strawberry stand establishment, growth, and fruit yield. Living mulch suppression of weeds and sting nematodes will also be assessed. We anticipate that the combination of low-volume sprinklers and living mulch in row middles will increase the sustainability of strawberry production by decreasing water use during bare-root transplant establishment, promoting infiltration at the expense of runoff, increasing the diversity of the cropping system, and improving cropping system resilience to weeds and to the sting nematode (Belonolaimus longicaudatus). Research trials were initiated in Dover, FL and at the Plant Science Research and Education Unit in Citra, FL in August 2017.